5th floor view from balcony - breathtaking! 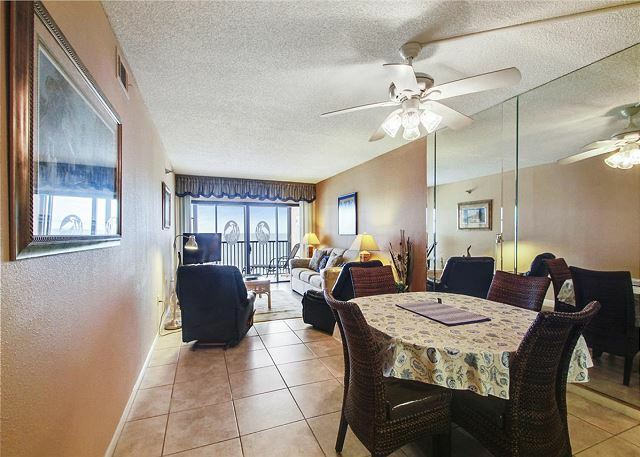 This 5th floor premier condo has a large, screened in balcony facing the beach and the Gulf of Mexico. 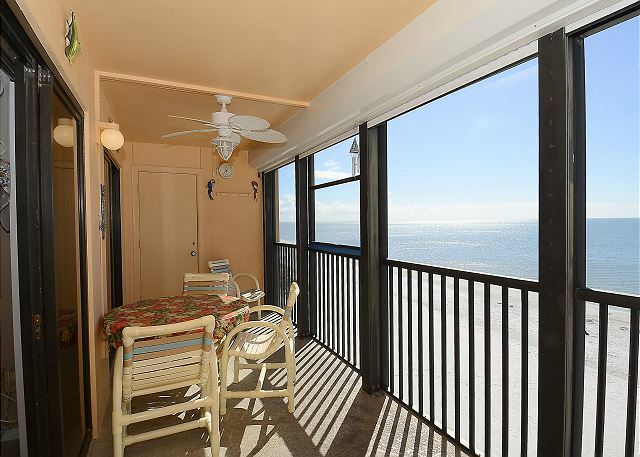 You have access to the balcony from both the living room and master bedroom where you will see spectacular sunsets. The décor is traditional and comfortable. 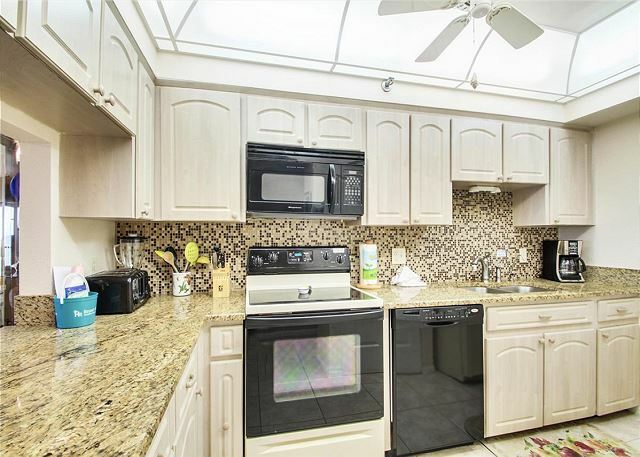 The updated kitchen is fully equipped and you are within walking distance to restaurants, shops and other beach activities. 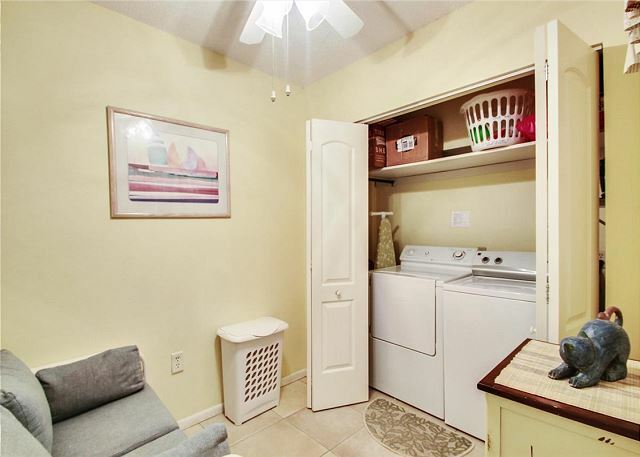 Your condo has a washer and dryer for your use as well as free DSL internet service. 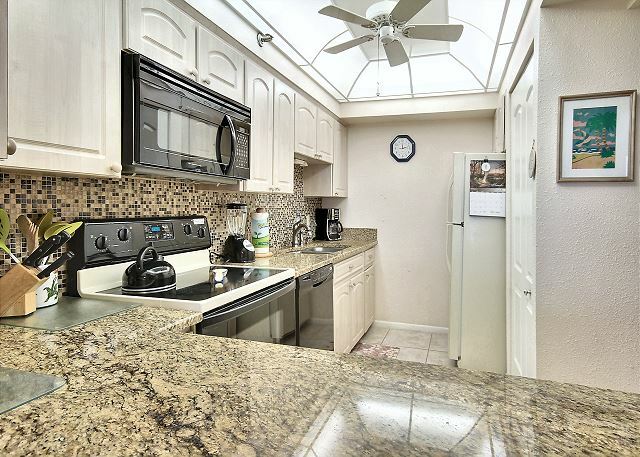 Great location right on the beach! 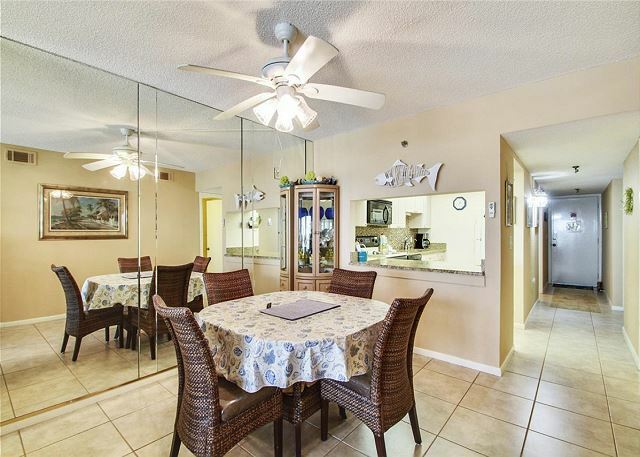 We walk to John's Pass and enjoy eating at the restaurants looking out at the water Condo was great but did need carpet cleaned or replaced in master bedroom. 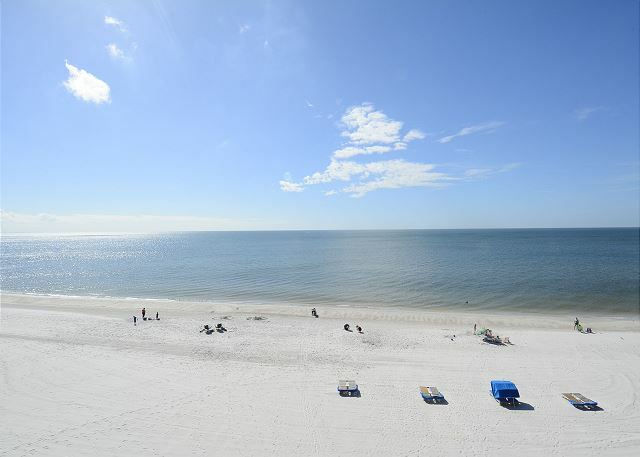 Glad you enjoyed your stay and the location on Madeira Beach!! We will take a look at the carpet, thank you for your feedback. 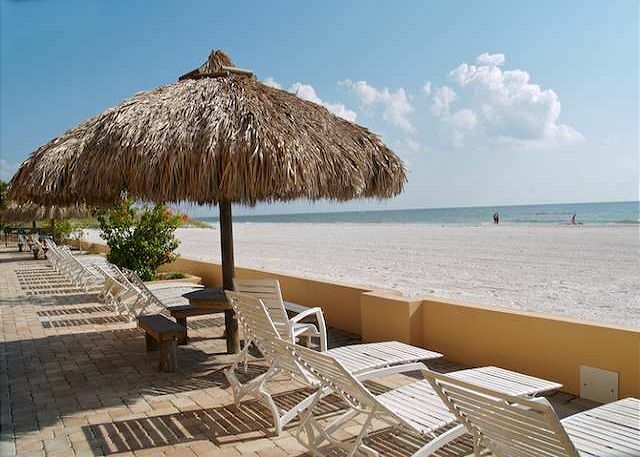 Thank you for choosing to stay with us and we hope to see you back for another visit to Madeira Beach in the future. 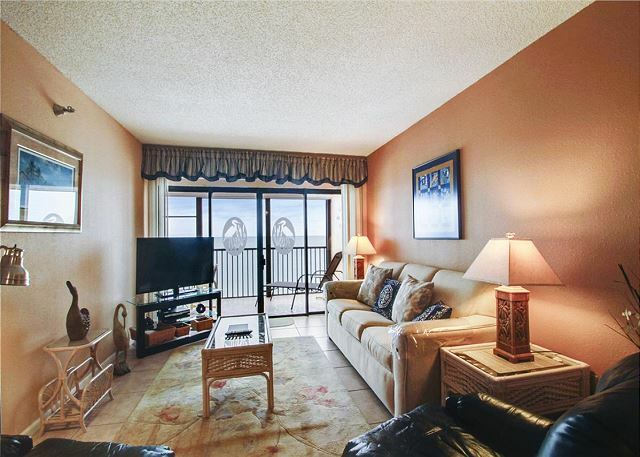 This condo was very clean and a great location on the beach! Red tide was in full swing during our stay so we could not go in the water, I also had a cough the whole week we were there due to red tide. We had a great time, weather was beautiful the whole week. 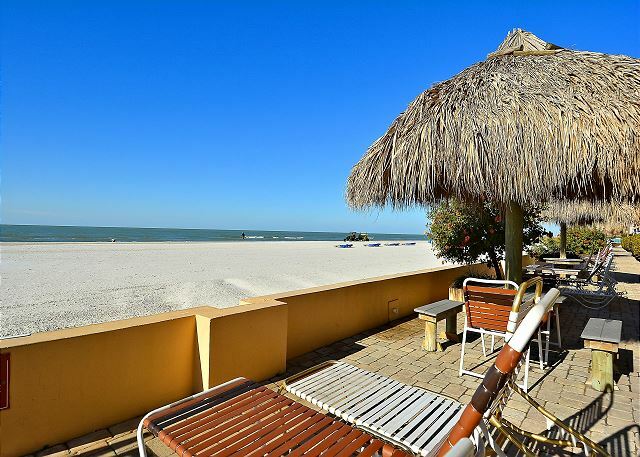 We are so glad to hear you enjoyed this premier condo in our inventory on Madeira Beach.....minus the Red Tide affects of course. Red Tide is probably 95% better than it was a few weeks ago while you were visiting, we are sorry it was even here during your vacation time!! Please come back for another visit, this all should be behind us very soon!! Thank you for choosing to stay with us and we hope to see you back in the future. This is so great to hear!!! :-) Thank you for choosing to stay with us in this premier condo at Villa Madeira and we look forward to having you back for some more R&R next time!! We were referred to this facility due to unforeseen construction at another facility. This was a blessing. We were thoroughly impressed. From parking, the condo and it’s location. I would recommend this place to anyone. That is so great to hear!!! 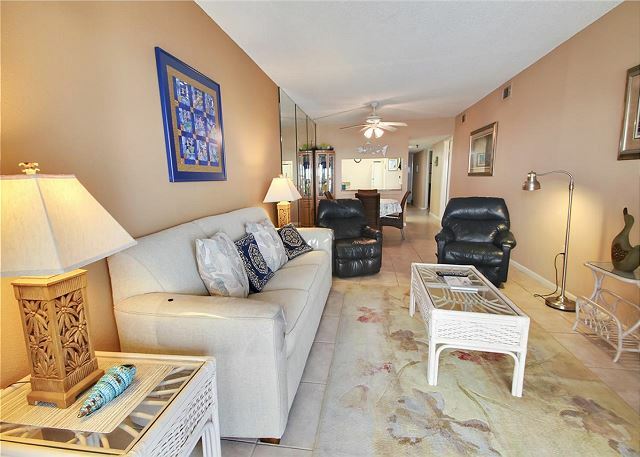 We are sorry that there were any adjustments that were even made, however, we are just thrilled that you enjoyed this premier condo on Madeira Beach!!! :-) Thank you so much for being our guest and we look forward to seeing you back for future visits to our area. we have stayed at villa madeira at least once a year for the past ten years. great sunsets when the weather permits. close to shopping and restaurantss, and don't forget about the fishing. we have rented through your company for many years now and as in the past everything was fine. that being said I wonder why there is almost no tv listing in the condos channel surfing is not fun. We loved the place! It was very clean. We had trouble getting the TV on channel in the living are but finally did. Would help to have some instructions. Also did not like it because the channels were different in the bedroom than in the living room. They should both be the same! The bed was horrible!We both had a hurting back when we go back. You need a Tempur Pedic mattress! They last and don't break down. Thank you for your feedback from this condo, we will be sure to pass this over to the owners for their review and knowledge. The TV's are set with different channels because one has a cable box and the other does not so there are different channel line ups with each set up, we do apologize for the frustrations with that! We do understand that everyone's bedding preferences do vary but are sorry it was not a good fit for you, we have passed this to the owner. 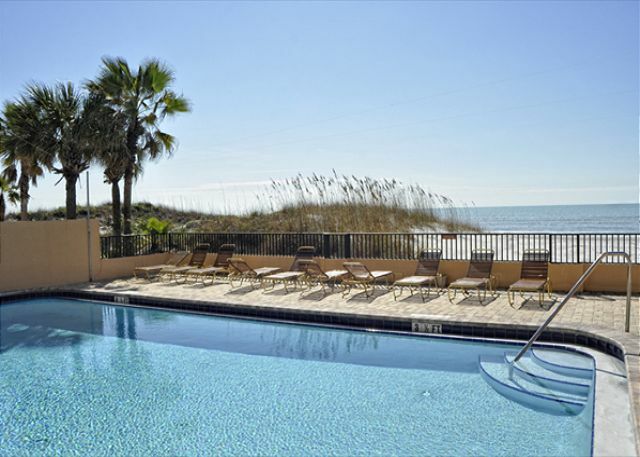 Outside of that, we are happy to hear you enjoyed the Villa Madeira and we hope to have you back on Madeira Beach for another visit in the future!! Awesome is AWESOME to hear!!!! :-) We are so glad you were able to get away for the much needed R&R you were looking for and that a beach vacation was the perfect fit for it! 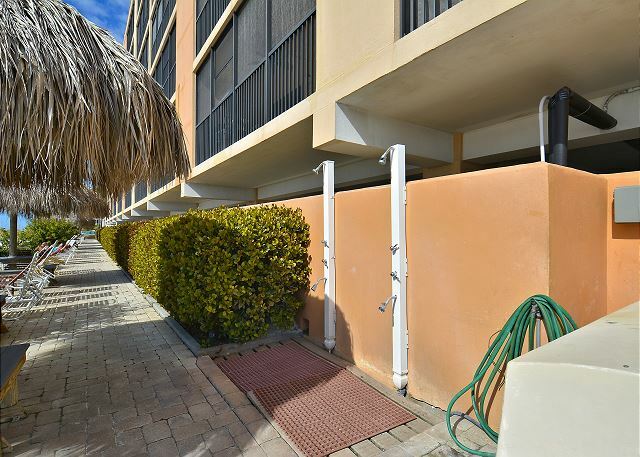 We are surprised to hear there was not a luggage rack or cart of some sort for you to use on the grounds, normally the condo association is very good about having those there for everyone's use but we will for sure look into this on behalf of you and our other guests. Thank you so much for staying with us, we enjoyed having you and hope to have you back for another beach vacation in the future. It was beautiful, clean, the other renters were very nice, and we had a great time! Also, the lady who helped us at the rental office was very nice and helpful! Thank you for your post and we are so glad to hear that you enjoyed your stay at Villa Madeira!!! :-) Gail is our front office check in on Saturday's, I bet it was her that helped you and she truly is the best!!! Thank you for being a guest with us and we hope to see you for another FL vacation soon! My family and I have rented this condo for three years and plan on returning next year. We feel at home while we are there and treat it as if it were our own home. 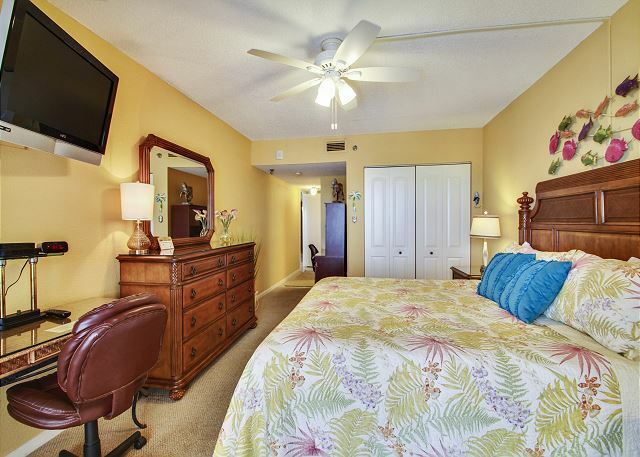 Condo #506 is in great condition and the furniture is also nice. The bed in the master bedroom is very comfortable as well. We do wish there were gas grills in the pool/patio area however. This is the first year that there hasn't been a gate between the garage and patio/beach area and it would have been nice to have had it especially since I have 1 and 2 year old sons who were on the patio and interested in the cars in the garage. As always, we really enjoyed our annual visit to Madeira Beach. This was our 5th year, and each year, we've stayed in a different unit in the building. I think this was our favorite unit. The beds were comfortable, the shower was fantastic, everything was very nice. There were no beach chairs or umbrella, but we bought those and left them, so they should be there for the next guests. We didn't do much cooking, but it seemed like there was plenty of kitchen stuff to manage the basics. We were there with our 2 daughters, 5 and 2, so I put up some of the more delicate decor to keep it safe, but other than that, it was great with kids. There were even some small plastic cups that my little one was able to manage without trouble. We hope to be able to stay in this unit again next year! P.S. They were doing a lot of work painting the exterior of the building while we were there. We heard they will be replacing the elevator in September. It's nice to see they are maintaining the property. Also, they re-keyed the locks during our stay. Resort Rentals gave us the new keys along with the old keys, so we had no issues, but apparently not all the renters had the same experience. It made us feel even better about using them for our vacation. Our family spent the week between Christmas and New Yeats at Villa Madiera. We had an Awesome time! The beach is beautiful! The condo was very nice and spacious. We look forward to coming back again next year! It was rainy at the start, but we arrived to a clean enough condo overlooking the Gulf. I was told it could sleep six but to make that happen we had to use pull out mattresses from the couch that were in less than stellar condition. It was also ridiculously hot in the master bedroom the entire stay which made it hard for me personally to really be able to sleep at all. fairly new. I would definitely stay here again. I referred to it as "my condo" by the end of our stay. I enjoyed it and thought it was very nice. This was a trip with my sister. We loved the beach here, as it was not crowded even when other parts of the beach were crowded. Not crazy about the screen over the porch. The furniture in the picture is not the actual furniture on the porch. 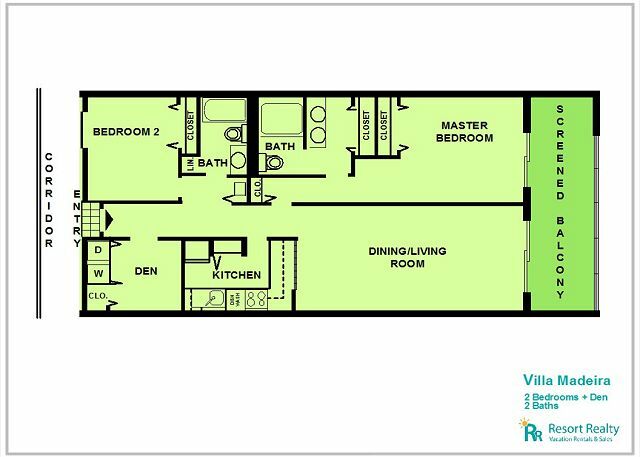 The condo is very nice and has everything you need. Even though the posted rules say not to save chairs with towels, we could not get a chair in the shade outside because literally every one had a towel or shirt on them with no one around. This is very rude and frustrating. We ended up paying for chair rentals on the beach, which should be included by the owners at this price. Thanks for your review. Sorry about the issues you encountered with the pool chairs. Unfortunately we cannot always control the actions of others when they break the rules. I do understand how that would be frustrating. I will pass on your suggestions to the appropriate department. Thanks again and we hope to see you again next year. We enjoyed our stay, it was a beautiful place . Our unit was very comfortable. Would recommend the bamboo hut for great food. The johnson pass was a great place to enjoy the great shops and the food as well. 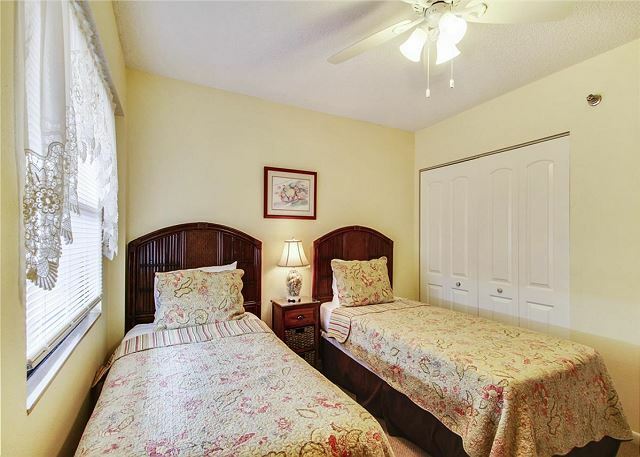 We always choose Villa Madeira when we plan a vacation stay in Florida. We enjoy the location of the facility on the Gulf coast. The beach is clean and family friendly. 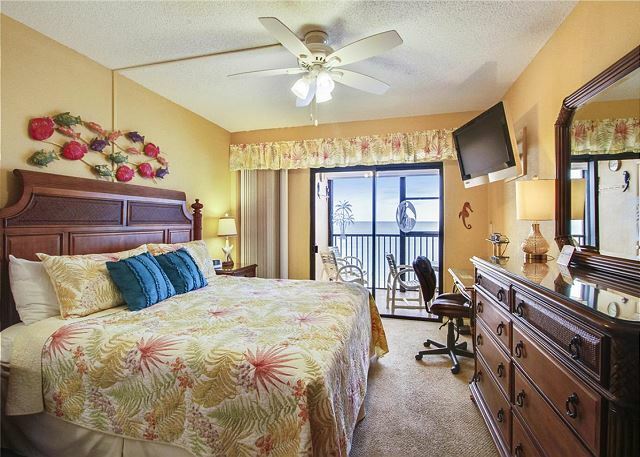 Each unit has an amazing view of the ocean and amazing sunsets right from your private balcony. We have brought our adult children and our grandchildren on several occasions. Everyone has expressed their enjoyment and satisfaction for this wonderful place to spend a family vacation. Our family greatly recommends Villa Madeira to anyone seeking nice accommodations for vacation. 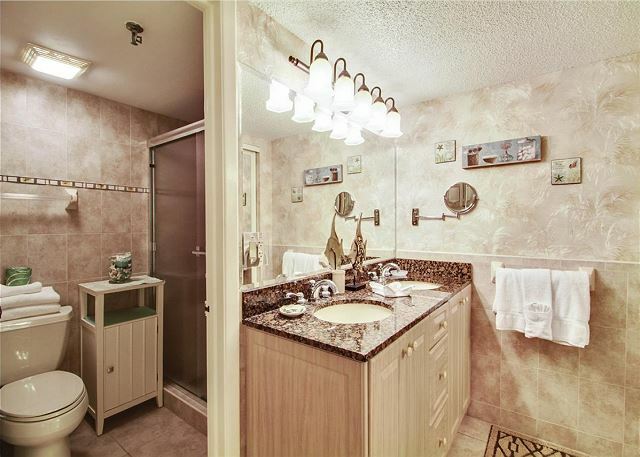 Very satisfied, would definetely reccomend,and would definetely stay in same condo. Overall a good experience. But annoyed by people feeding the sea gulls on the beach. Property management needs to monitor beach activity to ensure inconsiderate people don't feed the birds. I did observe a sea gull defecate on the head of a drunken women as she fed the sea gulls. We had a great time at #506 over thanksgiving and even hosted the family meal. Thanks, we will be back. Thanks for your review! I will pass on your suggestion to the condo association. Maybe they will consider it someday. Thanks again for the high ratings. 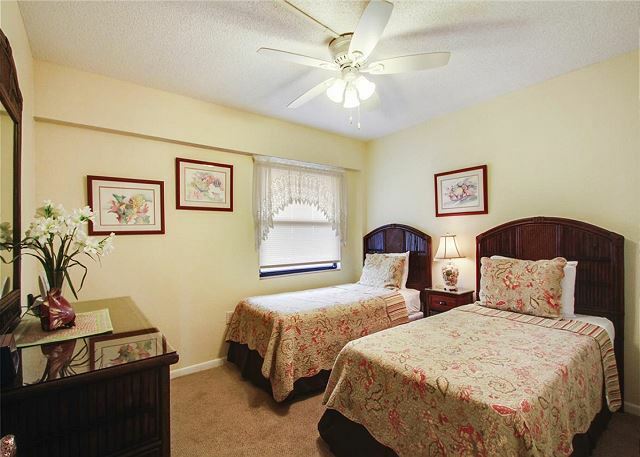 relaxing, comfortable, cozy, friendly, efficient, magnificent, clean and conveniently located to all amenities! Condo was beautiful, we loved being right on the beach !!! My kids loved it !! We love our stay so much; we are looking forward on coming back. This is our first time staying in a condo before, to where we usually go to a hotel, but this was so much different, by night time it felt like home. Thank you for a great time! We have stayed here for many years now. We have always found Resort Realty to be helpfull in resolving any problems, noting that there have been very few over the years. 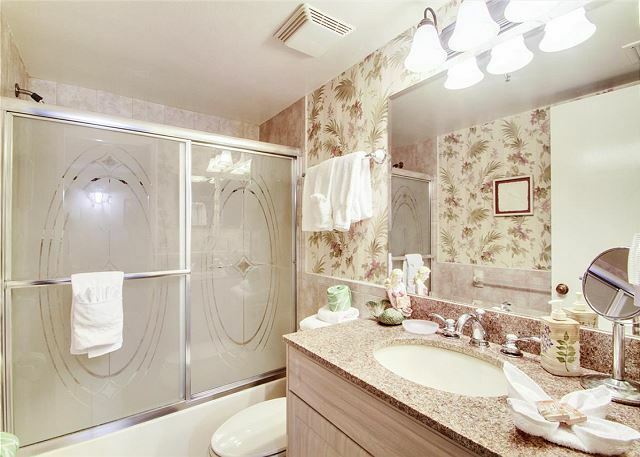 We try to stay at this property when ever we can as the view is great and the condo is extremely well kept. We come here every year and will countinue to do so. 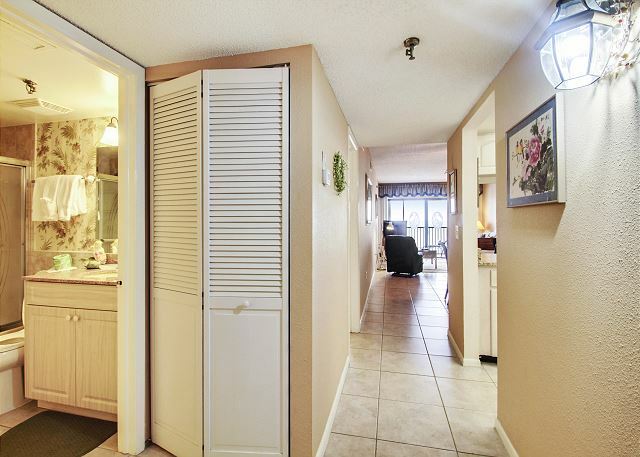 Ilham l from Kissimmee, FL does not recommend this vacation rental.